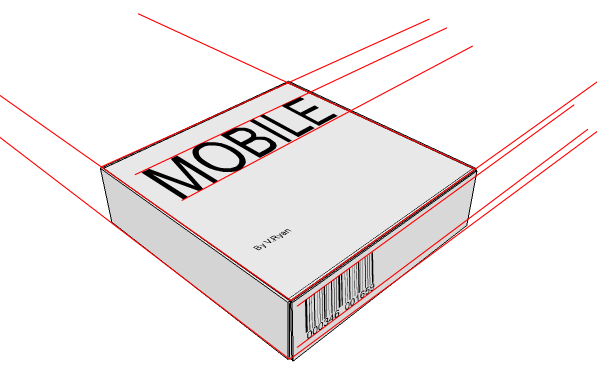 This question is concerned with perspective drawing. 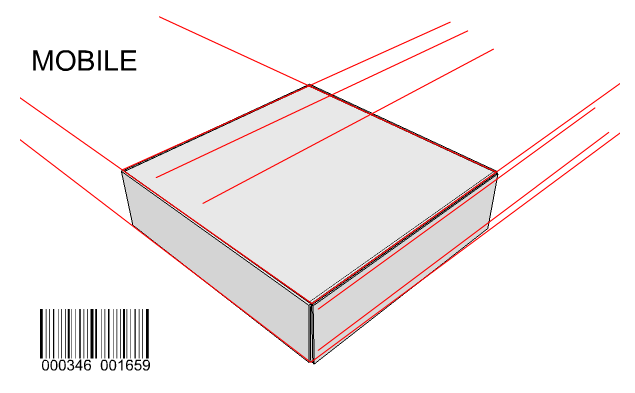 The sample packaging below is drawn in estimated perspective (the vanishing points are off the page). 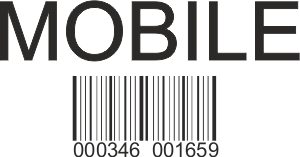 The title MOBILE and the BAR CODE are clearly shown on the sample package. 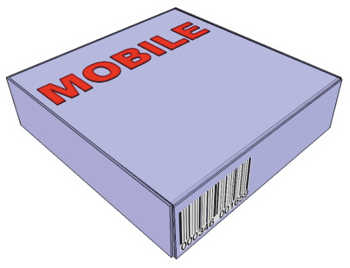 Sketch the title ‘MOBILE’ and the BAR CODE on the incomplete package, in perspective (estimate measurements). Clearly show your guidelines, projected in the direction of the vanishing points.